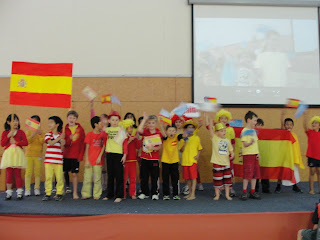 Room 11 Bloggers: ¡Viva España! 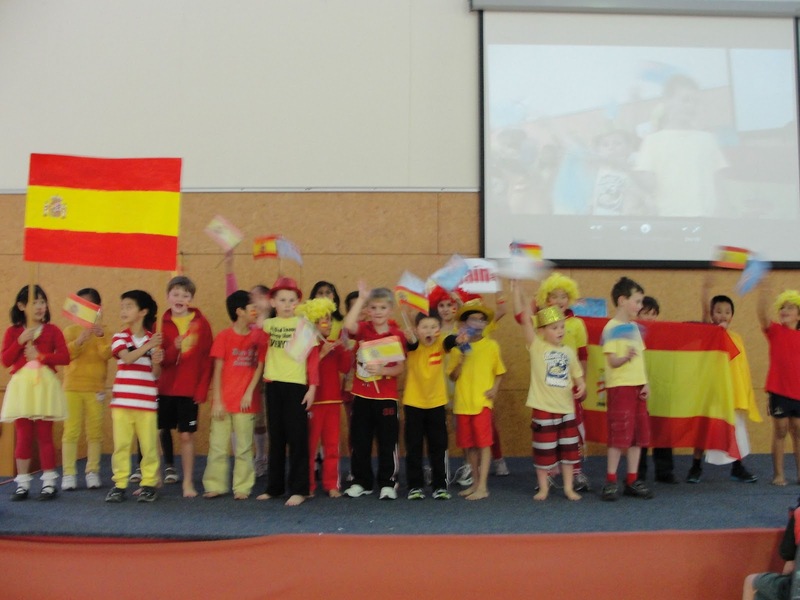 "Hola, Hola Hola, Spain, Spain Spain!" R11 came 2nd equal in the Middle School Mini Olympics - woo hoo! We hula hooped, shape boxed, chopstick challenged, bum-shuffle canoed, batted the balls and pair skipped. We were awesome!